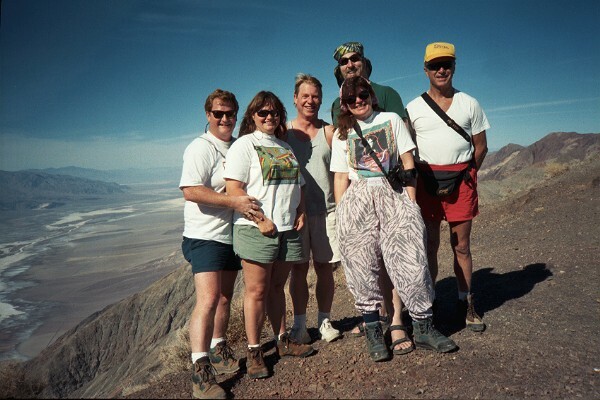 Ubehebe.Com is a website dedicated to (primarily) the Off-Road trails and sights in and around Death Valley. We've had many fun adventures on these trails and decided so share some of trips we've done. Why Ubehebe.Com? well all the names we had in mind for the site (which were associated with Death Valley) were already registered with NIC. Sarah - Only four years old, but already a veteran of Death Valley Trips. Left to right: Andy, Susan, Darren, Ken (behind) Sydnee (front) & Bob. This site will take a long time to fill out. We've got years of pictures including over 400 photos of 1998's exceptional wildflower bloom.